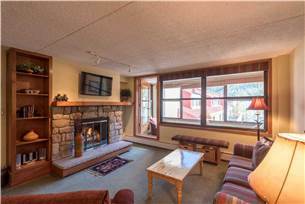 Village Square 355 is a beautifully decorated 780 sq ft, 1 Bedroom, 1 Bath that Sleeps 5 people. 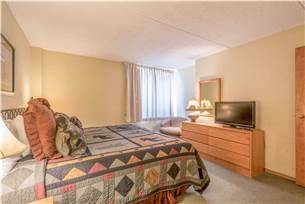 The Bedroom has a King Size Bed, while the Living Room is equipped with a queen Sofa Sleeper and a Twin sofa sleeper in the enclosed balcony. 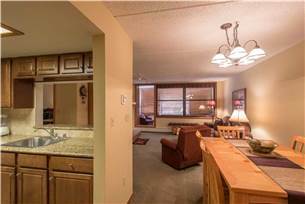 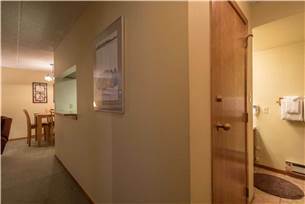 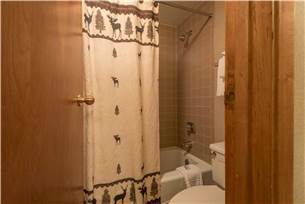 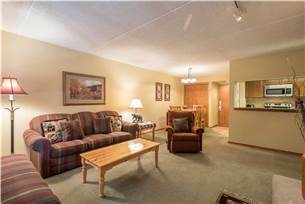 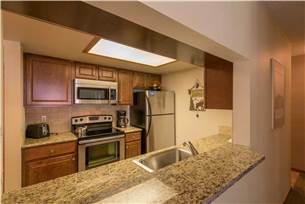 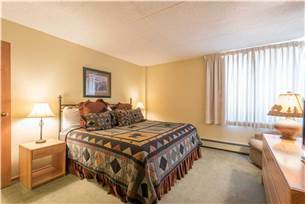 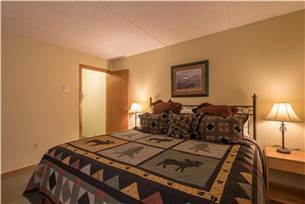 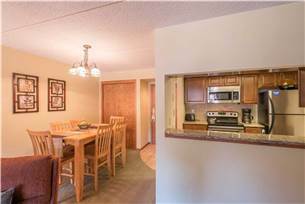 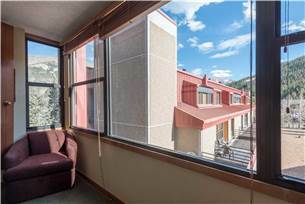 Amenities in this condominium include a Gas burning Fireplace, Flat Screen TV, Free WiFi and a Full Size Kitchenl. 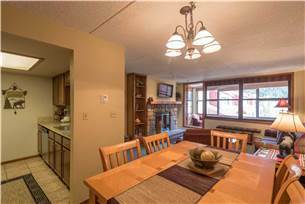 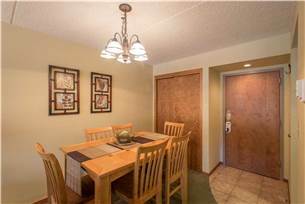 Many personal touches by the owner make this one of our nicest properties. 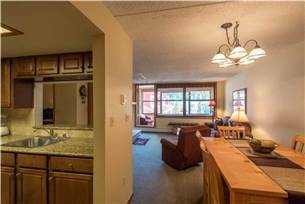 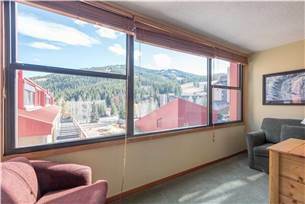 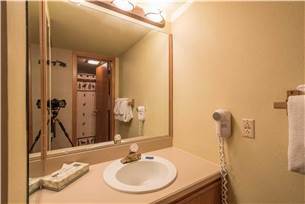 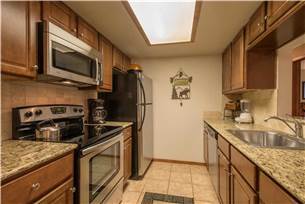 This condo is just a short 2 minute walk to the American Eagle lift. 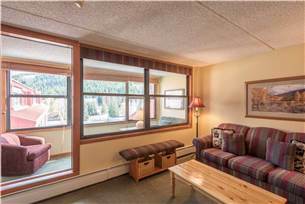 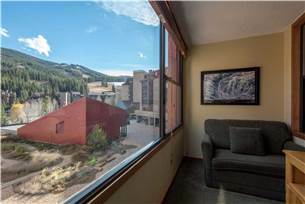 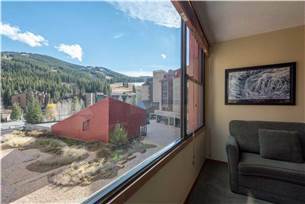 Village Square 355 is ideal for anyone looking for a nicely appointed accommodation within the heart of Copper Mountain's Center Village and its numerous shops, restaurants and amenities.